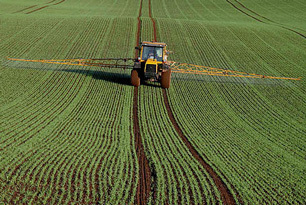 Oxamyl is a synthetic organic chemical used as a pesticide on a wide range of field crops, vegetables and fruits to control mites, insects, nematodes, ticks and roundworms. It is produced in two forms, liquid and granular, but its granular form is banned in the U.S. and its liquid form is restricted. It's sold commercially as Vydate® by the DuPont™ corporation. Oxamyl arrives in drinking water primarily through runoff from its insecticidal use and from improper industrial storage and disposal. Some people who drink water containing oxamyl well in excess of the maximum contaminant level [0.2 milligrams per Liter] for many years could experience slight nervous system effects. The EPA recommends granular activated carbon (GAC) for the treatment of oxamyl.